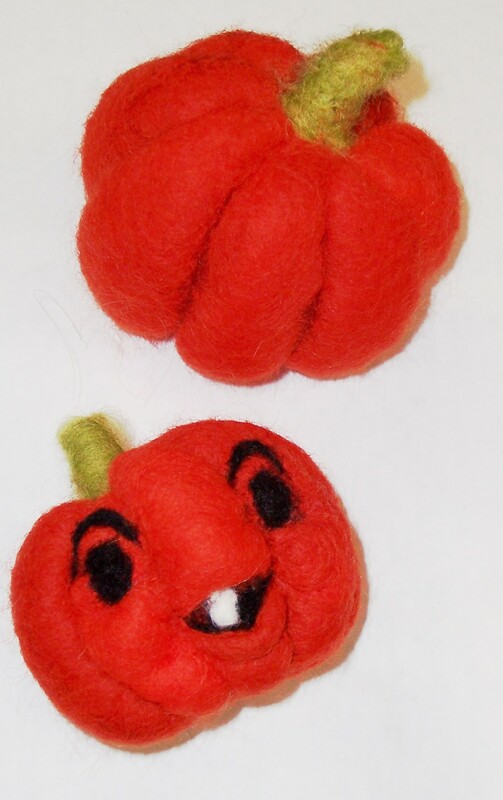 A really easy project that we've offered here for several Halloweens in a row now and is a popular way to learn the basics of needle felting. 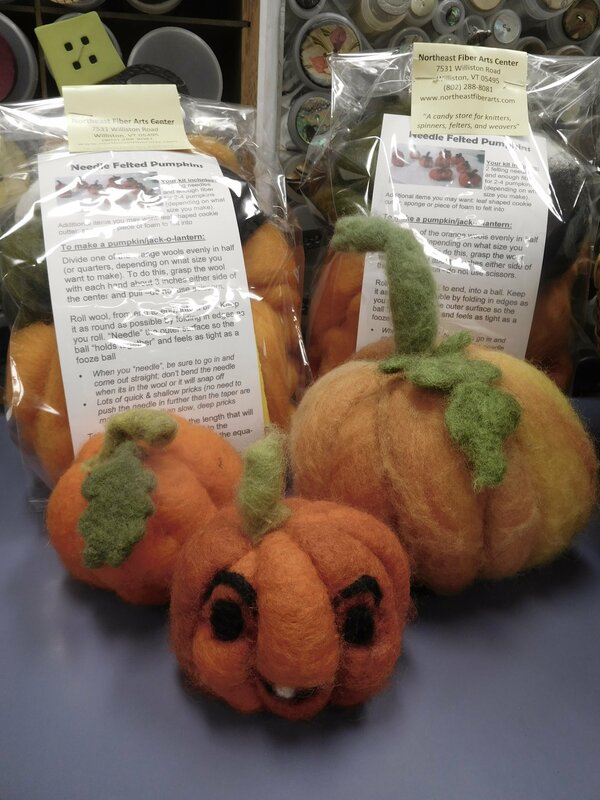 And if you want to supplement with a purchase of additional fiber so you can make lots of jack-o-lanterns, check out either/both the felting batts and dyed wool top. 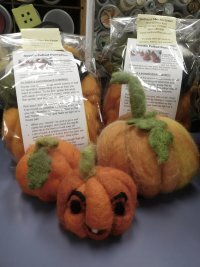 Kit includes 2 needles, instructions and enough wool to make a approx 3 3"x3" pumpkin or jack-o-lantern.